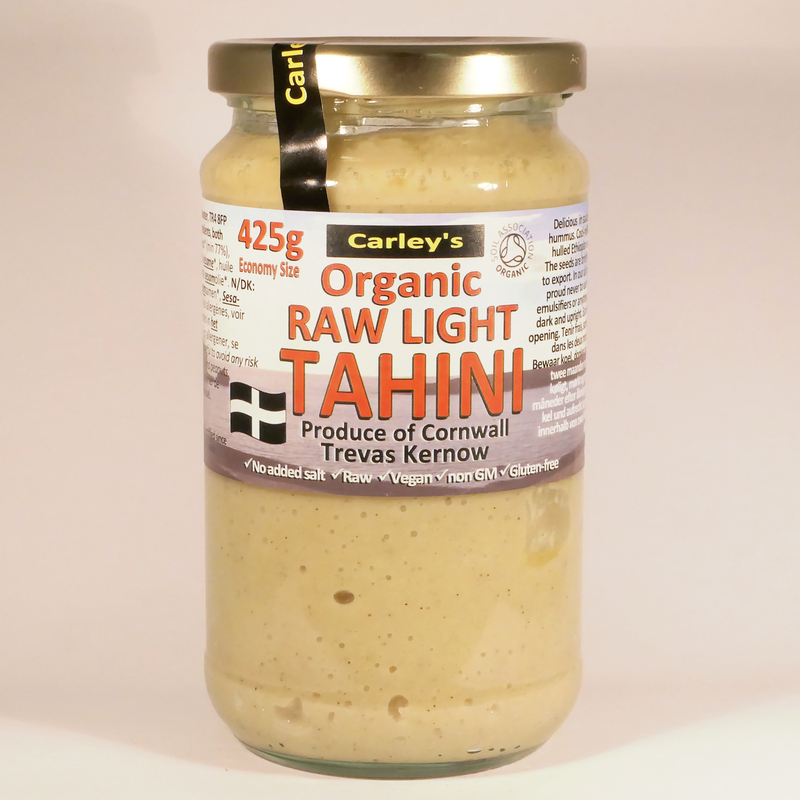 Our famous Organic Light Raw Tahini, now in a bigger size too! by popular demand…….special economy size! 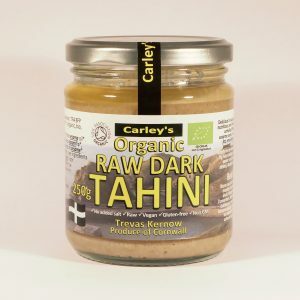 A delicious intensely flavoured Organic Raw Light Tahini spread made with calcium rich hulled sesame seeds from a fantastic organisation in Ethiopia called Selet Hulling. The farming and processing methods at Selet Hulling are environmentally and ethically sustainable. The seeds are grown to the highest organic standards, the farmers and their families benefit from these healthier methods. 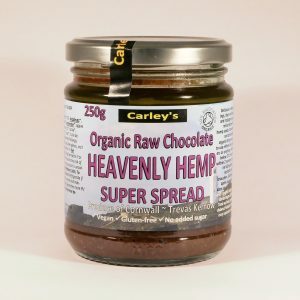 The organisation supports local environmental and social enterprises from training in organic agriculture and production to assisting with building local schools and supporting improvements in local infrastructure. These seeds are briefly hot air dried in the cropping and hulling process in Selet Hulling’s state of the art factory which uses innovative techniques to minimise any impact on the environment. They are then bagged and exported. This brief heat ensures that the seeds are dry that no microbes can thrive. The quality that this facility produces is second to none and the seeds make delicious tahinis! 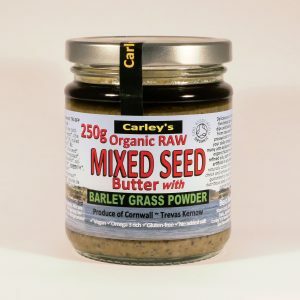 The seeds once they arrive with us are finely milled to a smooth spread with cold pressed fair trade sesame oil, if you are a fan of halva you’ll love this! 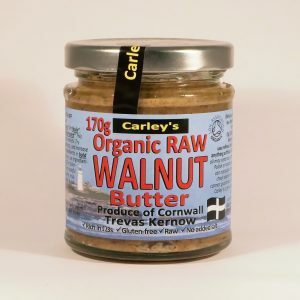 Also great to make a dressing for savoury dishes, blend with some olive oil, lots of fresh parsley, yogurt and lemon juice and drizzle over fish, salads and vegetables, or even add to smoothies for a creamy calcium hit! Just two ingredients, both raw: (*= organic / bio / øko / eko). GB: Sesame seeds* (77%), fair trade coldpressed sesame oil*. Fr: Graines de sésame*, huile vierge de sésame*. NL: Sesamzaad*, koudgeperste sesamolie*. N/DK: Afskallede sesamfrø*, jomfrusesamolie*. DE: Sesamsamen*, Sesamöl*. For allergens, see ingredients in bold. Pour les allergènes, voir ingrediénts en gras. Voor allergenen, zie ingredienten in het vetgedrukt. Für Allergenefinden Zutaten in Fett. For allergener, se indredienser i fed. Contains Sesame! We are very careful to avoid any risk of cross contamination. However, as we also process peanuts, mustard, and nuts, traces may be present.